Nor does DiPietro concern herself with the fact that Boston doesn’t have five-year age groups. At 47, DiPietro finished the 2005 Boston Marathon in 2:53:34, an effort that would have easily won the 45–49 division had there been one. As it was, three significantly younger foreign women finished ahead of her in the broad 40–49 category. Two weeks after Boston, DiPietro won the 45–49 division in the Broad Street 10M by more than four minutes with a 1:01:06. She followed that with an 18:00 5K in the Freihofer’s 5K. 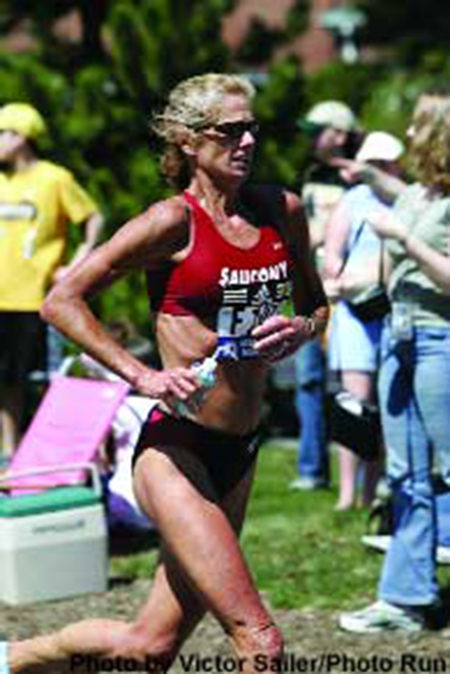 Her next most memorable race was the 1999 Chicago Marathon, in which she qualified for the 2000 Olympic marathon trials with a 2:47:11. She improved her PR with a 2:47:00 at Boston the following year. Follow us on: Facebook & Twitter | © Lee DiPietro is powered by WordPress.